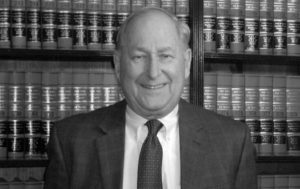 Lenard Marlow, recently retired, was a practicing attorney for over fifty years. A fellow of the American Academy of Matrimonial Lawyers and a graduate of Columbia law school, he worked exclusively in the field of family law for over forty-five years. As a pioneer in the field of divorce mediation, he is the founder of Divorce Mediation Professionals, one of the oldest and largest divorce mediation facilities in the United States. 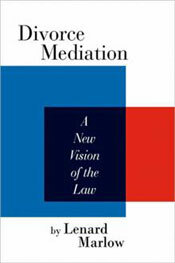 Lenard has trained all of the mediators at Divorce Mediation Professionals. Past president of the New York State Council on Divorce Mediation, and a respected leader in the field, he has lectured extensively on the subject, both in the United States and Canada, as well as in Europe and South America, where he has conducted numerous trainings and workshops. 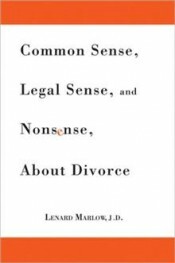 Lenard is the author of six books and numerous articles on the subject of divorce mediation and continues to write and research in his retirement. Education: Colgate University, B.A. ; Columbia University School of Law, J.D. Divorce is never easy. On the contrary, it is one of the most difficult experiences that anyone will ever be faced with in his or her life. It will test them as few things ever have or ever will.